Philosopher, architect, and social reformer. 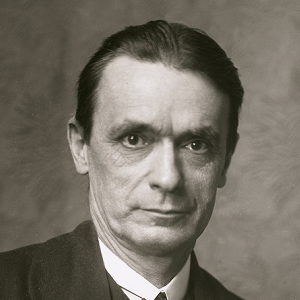 Rudolf Steiner was an Austrian philosopher, social reformer, architect and esotericist. Steiner gained initial recognition at the end of the nineteenth century as a literary critic and published philosophical works including The Philosophy of Freedom. At the beginning of the twentieth century he founded an esoteric spiritual movement, anthroposophy, with roots in German idealist philosophy and theosophy; other influences include Goethean science and Rosicrucianism.